It's been months and I am loving InstantPot. I've discovered I can put it on the patio and enjoy summer without heating up the house with an oven. 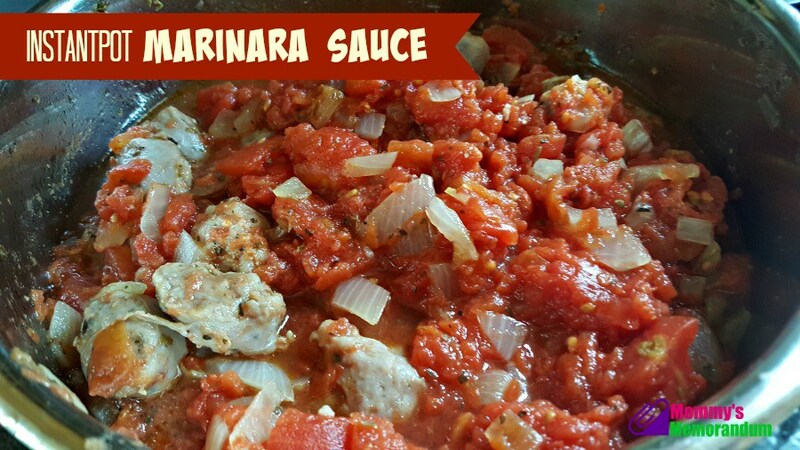 This InstantPot Italian Marinara Sauce Recipe is so easy and my family loved it. They wanted it again the next night! Hand-crush tomatoes into a sieve over large bowl. Gently squish with fingers to release juice. Reserve juice and set aside. Add olive oil to InstantPot and add in onions and garlic. Place in Instant Pot and use the saute setting stirring every now and again until onions are translucent. 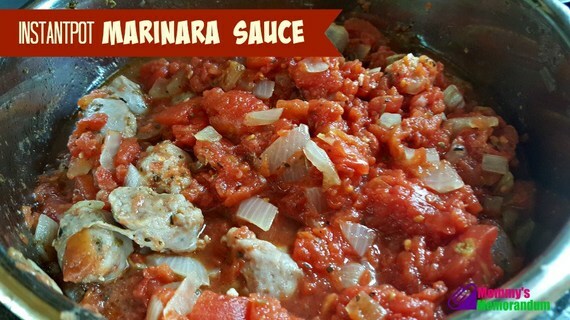 Add everything (except the tomato paste) to the InstantPot. Place the lid on the InstantPot and cook on "soup" for 35 minutes. 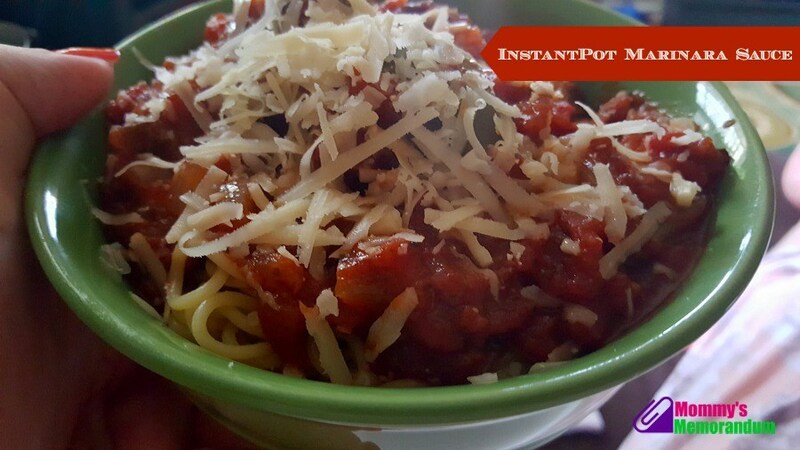 Allow to depressurize and then stir in tomato paste and serve over noodles.